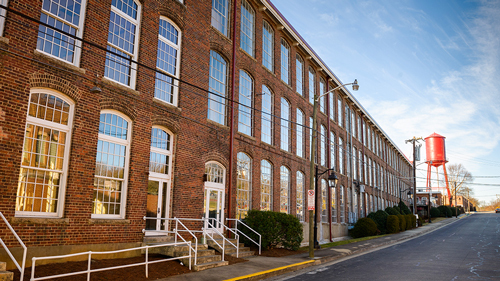 NCIF provided $4 million in New Markets Tax Credit allocation to fund the renovation of Revolution Mill, one of Greensboro, NC’s oldest textile mills, into mixed-use spaces. The project will now be home to both commercial and residential uses, such as office and art studio space along with apartment units. Both uses will integrate competitive rents, including 20% set aside for affordable housing units, to best align the project with its surrounding community’s needs. Self-Help, a nonprofit community development organization, serves as the developer on the project. Mechanics & Farmers Bank served as the CDFI partner to this transaction.